Down here along the Texas Gulf Coast, we often have clear skies in the morning before the ground heats up and/or clouds roll in from the Gulf. So, I've sorta fallen into a habit of taking a brief look at the sun through my HA scope in the mornings. I also recently got involved in variable star observing and was surprised to see a solar section here (although, of course, I suppose solar observing is the ultimate in variable star observing). I downloaded the recent AAVSO solar bulletin and was puzzled by the normalized SSN graph on the front page. Apparently, different sources of sunspot numbers result in different values as not all of the sources line up perfectly. 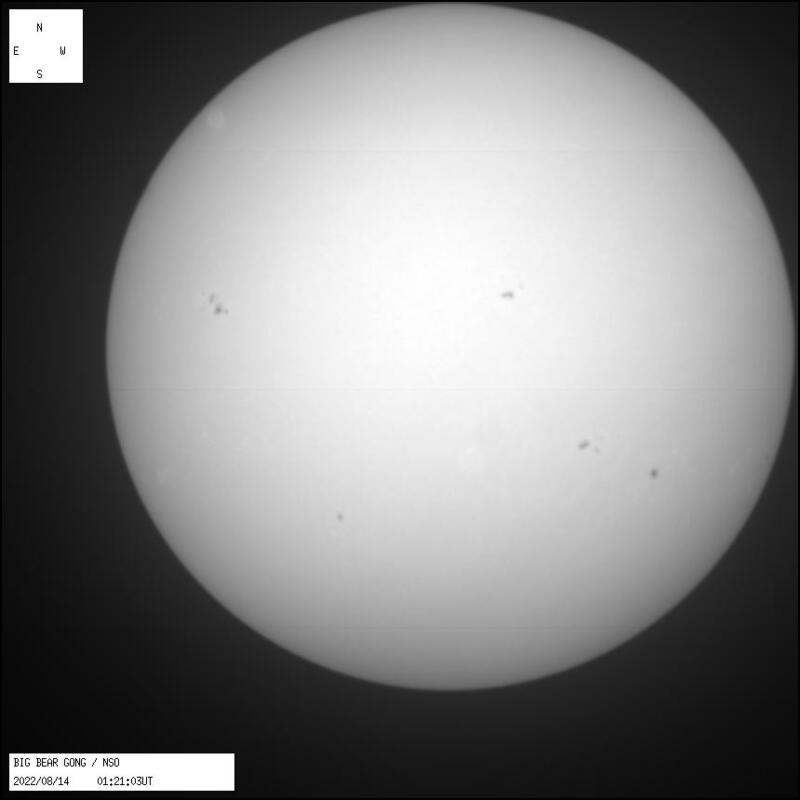 As SS counts I'm sure are subject to different precisions, how do AAVSO counts complement the professionally-sourced data, such as the daily white-light image from Big Bear Solar Observatory? Thanks, Rodney, that was helpful. I was reading over the guidelines for observers and I noticed that the recommended aperture range is only 50-80 mm...I assume this is for historical consistency and the mitigation of seeing effects? It's not a problem at all....the grab-and-go scope I'd use would be my ZeinthStar 66 mm scope and the white light solar filter is not expensive at all. Mostly using the small aperture (50 mm - 80 mm) telescopes will be to continue with the historical sunspot count. However, with the larger scopes (greater than 100 mm) it's difficult to get the whole solar disk in the view. With large aperture scopes you have to move the scope around to count all the spots, (unless you have a really large eyepiece, 42 mm ;-). I ordered the Peter Taylor book -- $4 used on Amazon -- and look forward to reading it. Its initial publication is near the time I first became interested in the Sun, back near the June 11, 1991 solar eclipse. I was doing some reading and came across and wonderful quote in the JAAVSO on AAVSO sunspot number counts: "Observations by amateurs provide an important counterpart to professional observatory results, being impervious to scientific budget crunches or scientific fads, depending mainly on the dedication and know-how of an interested and interesting core of observers motivated by a search for knowledge and contributing to an international effort to understand our environment." (Coffey, et al., JAAVSO, 27, 1999, p. 60). What is a "group"? For that matter, what is a spot? I've found that I have an exceptionally basic question....I know the Wolf number is comprised of a count of groups and a count of spots. This seemed simple enough to me, but as I looked at the sun this morning, I found myself wondering how exactly to consider a group and a spot. How are we defining a sunspot group? How close in proximity do the spots need to be to be part of the same group? As a further question, is a single lone spot counted as a group? What about a spot that seems to be dividing; that is, it has two dark umbra spots, but still surrounded by the same penumbra. Is this two spots or one? If we knew the answer to that question.... ;-) Here's a presentation (attachment) that discusses the issue (in about 80 slides). It might help, at least to let you know there is no definite answer. One general rule is that if you calculate the resolution of your telescope to be around 2 arc seconds (2,000 km on the sun) you should be able to detect a pore. Which may only last between 1/2 hour to an hour. A pore is not a sunspot. Look through the Svalgaard presentation to determine what a group might be. •How is the detection of the smallest spots influenced by the resolution? The one nice thing about having over 60 AAVSO observer's world wide is that no matter how they count groups and sunspots, after 100 or so daily observations we can assign them a k- factor; which is a comparison among all the other AAVSO solar observers. See the attached Shapley article on how we calculate the k-factor.